Aspire Cleito RTA System has a dual coil velocity-style deck, which is very easy to be built with. With the RTA System, Cleito brings tempestuous airflow and intense vapor cloud production to you. Aspire Cleito RTA System is an easy-to-build RTA system which has a dual coil velocity-style deck. It has tempestuous airflow and creates intense vapor cloud production. The Cleito RTA will lift your favorite E-juice's flavor to the next level. 1. Remove the four grub screws. 2. Install the coil diagonally into the velocity deck posts. 3. Screw grub screws down with Allen wrench. Snip off the coil leads. 4. Install second coil diagonally then tighten it down. Cut off leads. 5. Press the coil ring together with pliers until coil rings are evenly spaced. 1. Push cotton through the coils. 2. Take some scissors and cut cotton off where it touches the bottom of the deck. 3. Take some tweezers and push it down into the e-liquid deck corners. 4. 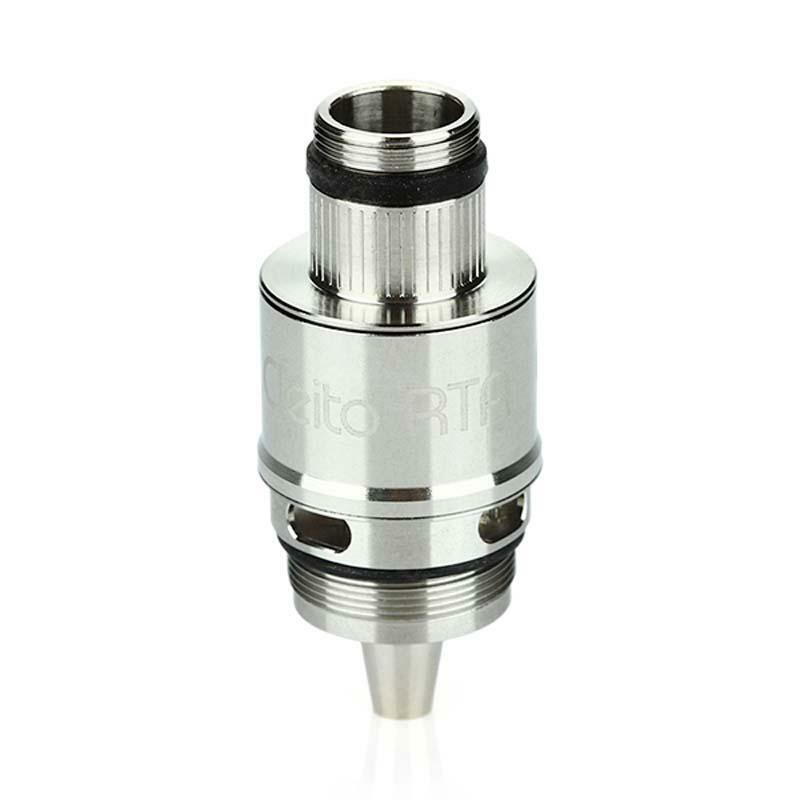 Install the RTA into your Cleito tank. 5. Fill e-Juice into the tank and let it sit for 4 minutes. 6. Screw on the Cleito top hardware on and begin vaping. • It's for Aspire Cleito Tank. Very good dual post Deck, with a perfect bell. • Enough large for some big coils. • Built quality ♥ from Aspire ! • It come in a simple bundle but with all it needs, and spare parts. • Incredible explosive flavor with the 2 pre-mounted Aspire coils (Fused Clapton). VERY easy to build and wick. The flavor and vapor production is awesome. thank you.